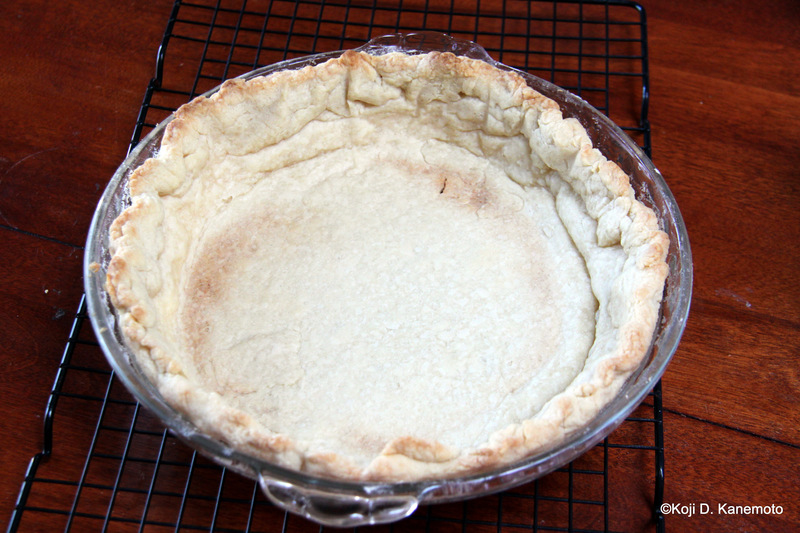 Making a pie crust from scratch is really pretty easy. Tried it for the first time. 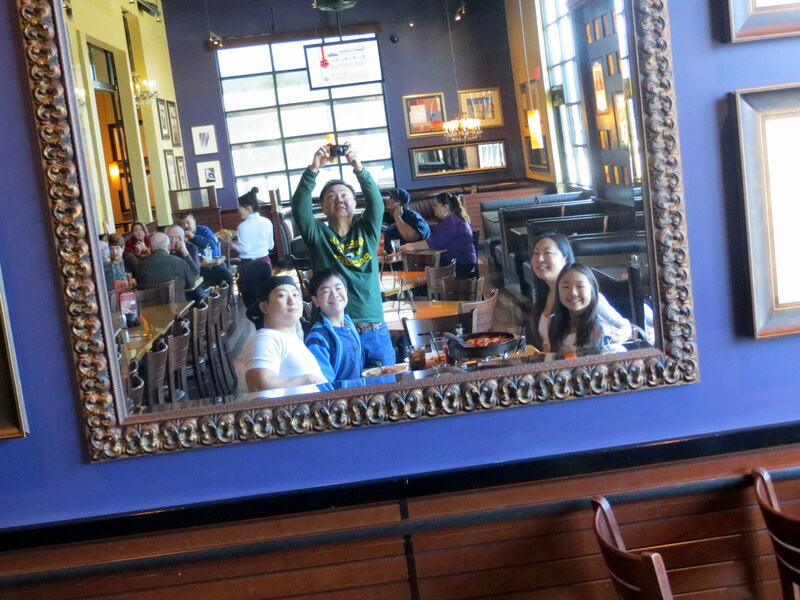 But I did it… Sorta. Well, it really worked except when this old former mechanic decided to deviate from said recipe by leaving it in the oven to bake for three extra minutes. 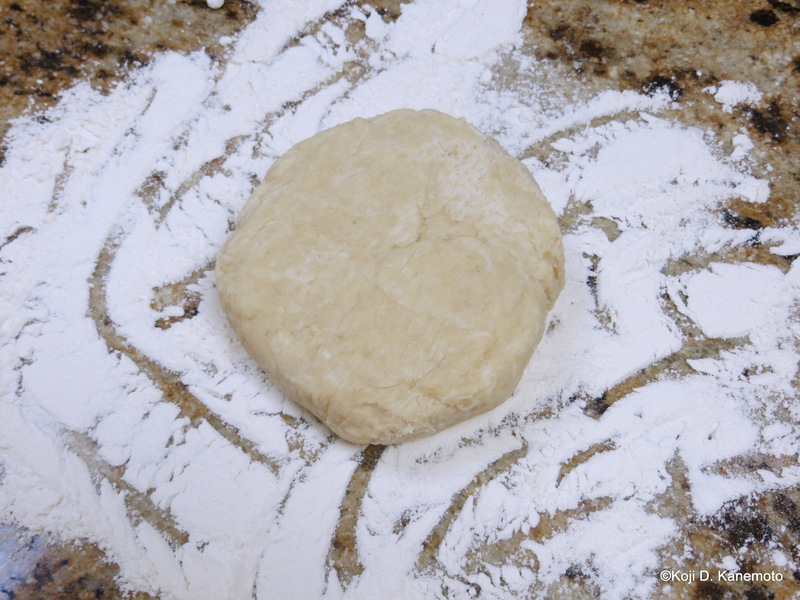 And letting the dough get too warm while rolling it… if you call it rolling. LOL Instead of being circular, it ended up looking more like Patrick Star of Spongebob. Pulse 2/3rds of the unbleached flour together with the sugar and salt. 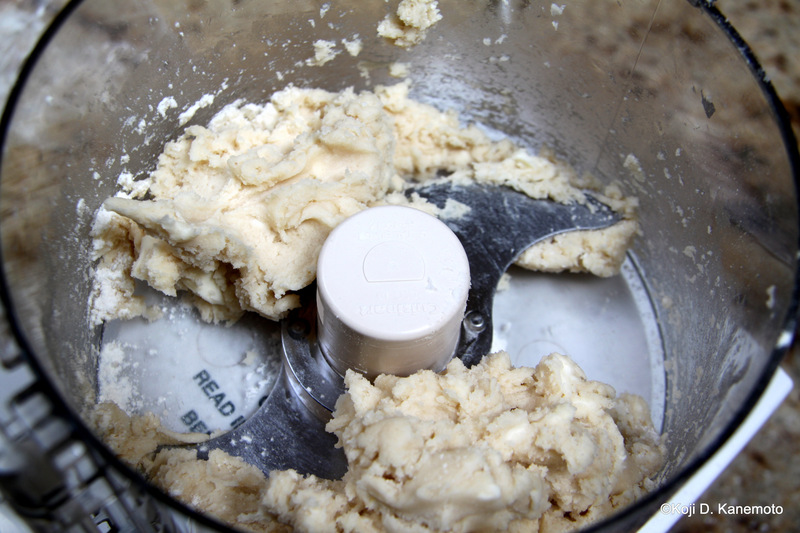 After adding the chilled vegetable shortening and unsalted butter, process no more than ten seconds. 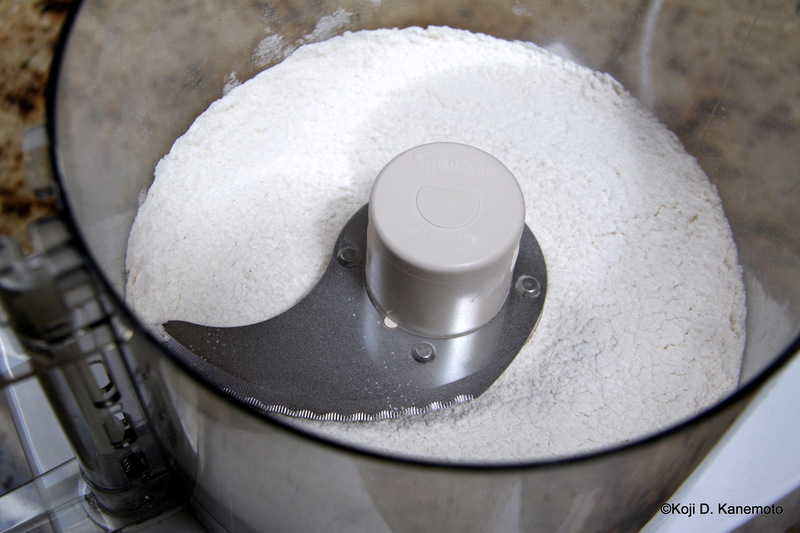 Separate dough into two or three sections then add remaining flour. Watch out for the cloud. 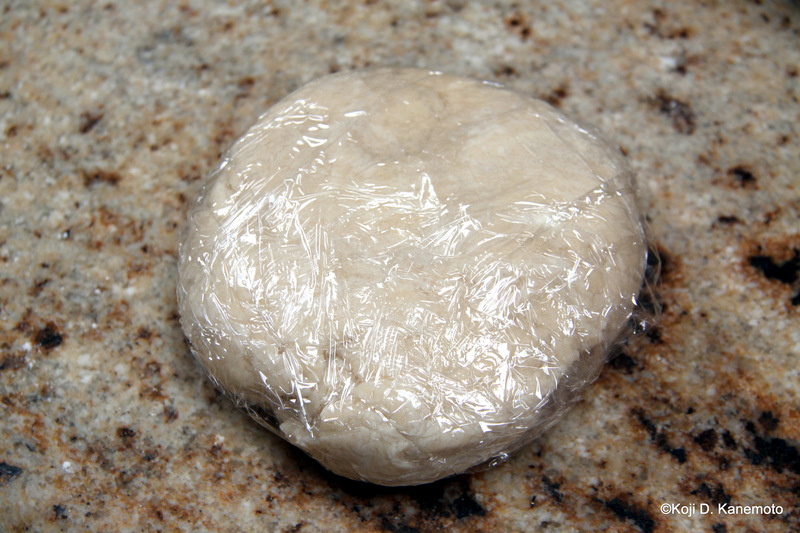 After adding the remaining flour and about four to six pulses, dough should look like this. Don’t overdo it. 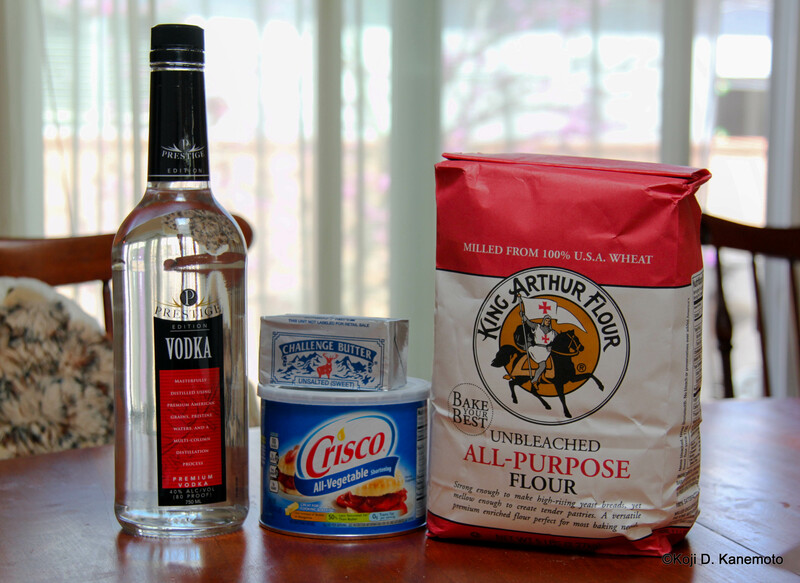 Transfer to mixing bowl, add water and vodka, and fold. Should be tacky. 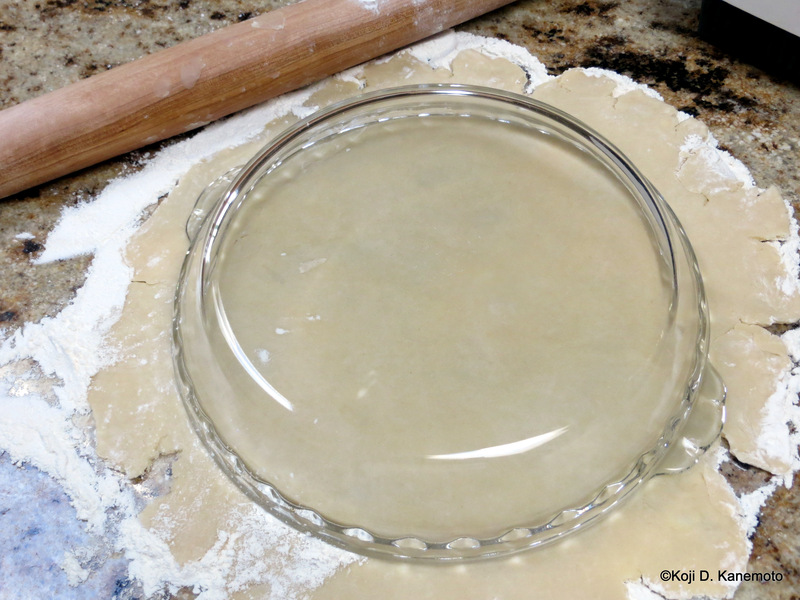 Form a four inch circle, wrap in plastic wrap then refrigerate at least 45 minutes. Patrick Star in disguise. 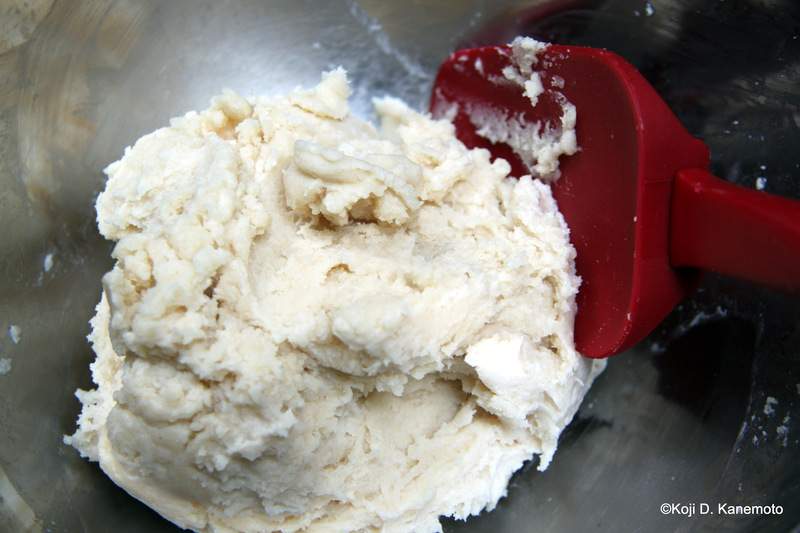 Making the dough til now was a snap. Rolling it? HA! A burned fait accompli. You can see the results of my uneven rolling! In fact, the right side slid down! I actually had to throw it back into the oven as that section was still moist… The bottom ended up looking like graham crackers it was so toasted! It didn’t look TOO bad when it was filled up with strawberries covered in PERFECT glaze… not like jello and certainly not runny! Anyways, my good USAF neighbors got half of it; I think he may have flung out the pie crust from 30 Angels as a lethal weapon. Well, the dough certainly was easy to put together. The secret is the vodka and keeping the ingredients chilled. Oh. Don’t burn the crust nor watch Spongebob before rolling. This old croaker of a former mechanic thought he could cook… again. Will I ever learn? Would someone padlock the kitchen please? 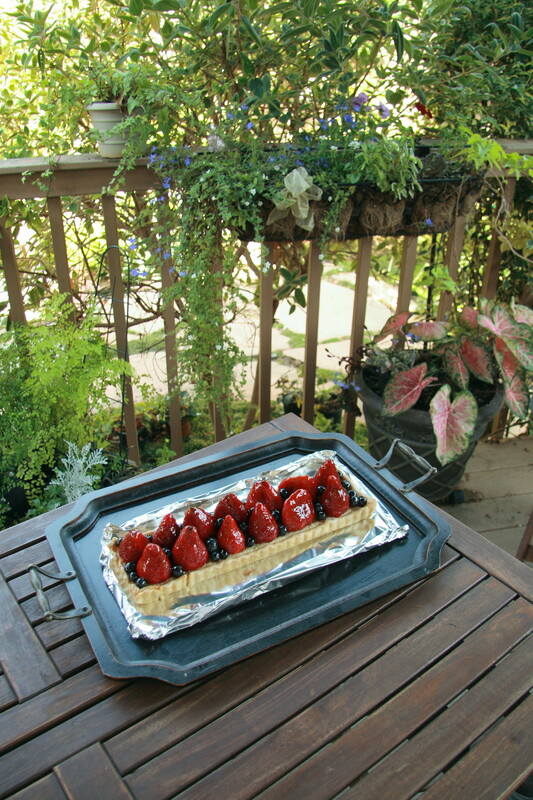 Actually, I had a request… for a homemade strawberry pie. Daryl Strawberry first came to mind. Duh. I must have been on drugs, too. What did I get myself into? What was I thinking? A strawberry pie? The key ingredients including the freaking huge strawberries. So I found a recipe in Cook’s Illustrated once again. It looked easy enough. 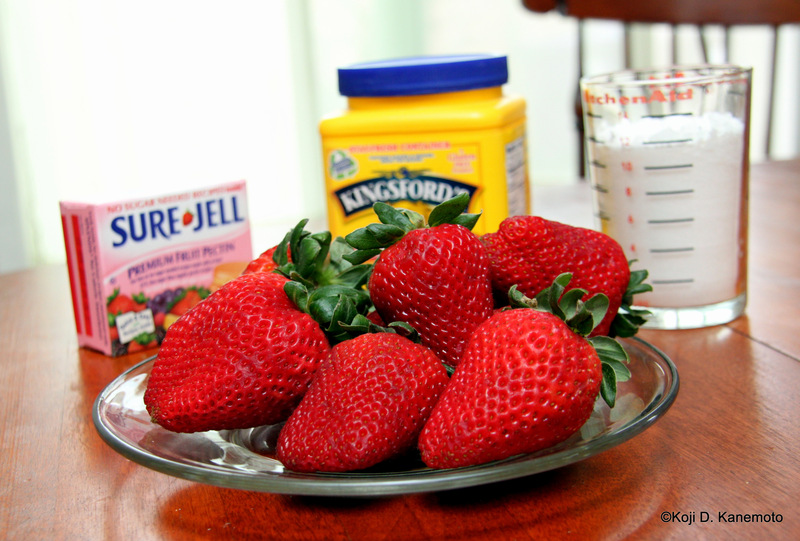 And there weren’t too many ingredients: sugar, cornstarch, pectin, fresh lemon juice and salt…… and strawberries. Well, Cook’s Illustrated failed me this time. They didn’t write down what SIZE of strawberries to get – just a weight. I thought strawberries were all about the same size. You know. Size doesn’t matter. Well, the FRESH strawberries I ended up buying were too big. Freaking too HUGE. And there were LOTS of them. And they needed to be hulled. Heck, I knew I would eventually slice my fingers trying to hull them all with a knife so I cheated. Mechanics love tools, right? I bought this fancy-schmancy huller for seven bucks. 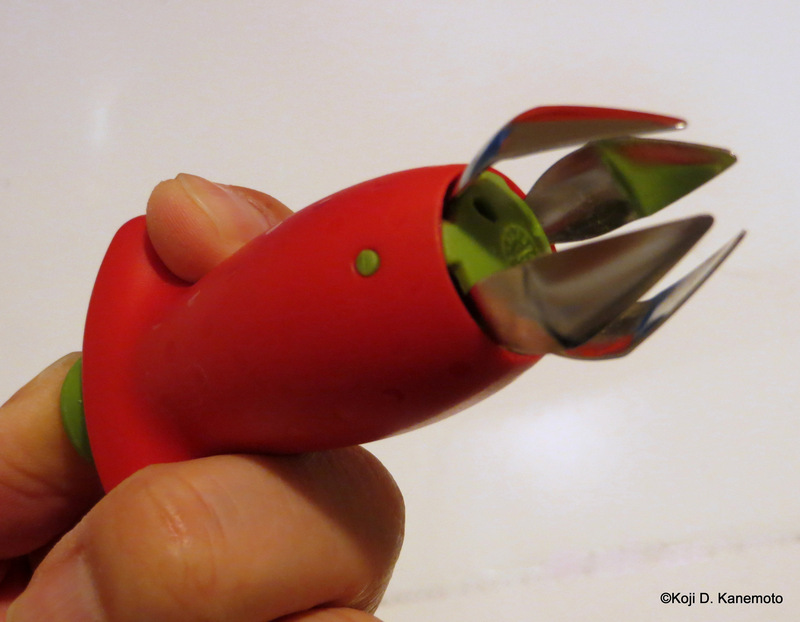 For size comparison purposes, I took a picture of the gizmo alongside one of the freaking huge strawberries I bought. It is all Cook’s Illustrated’s fault indeed for not explaining what size strawberries to get. This is what it looks life after you press that green button on this fancy-schmancy gizmo made by Chef’N Corporation. 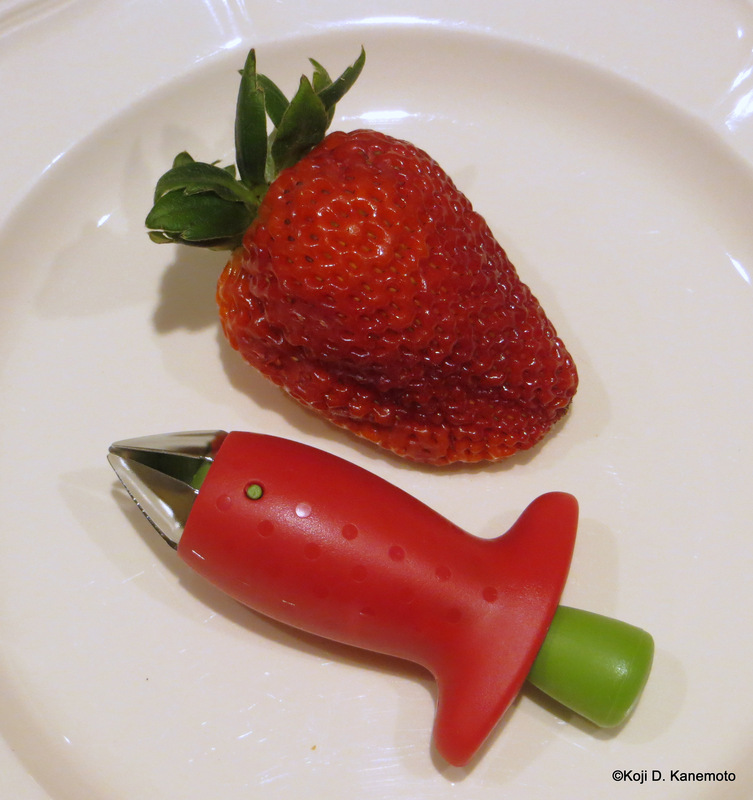 You push it into the strawberry, let go of the button and twist. It worked great! But I learned it is better if you remove the sepals first (I found out that’s what the little green leaves on the top of the strawberry are called.). The recipe called for whole strawberries. 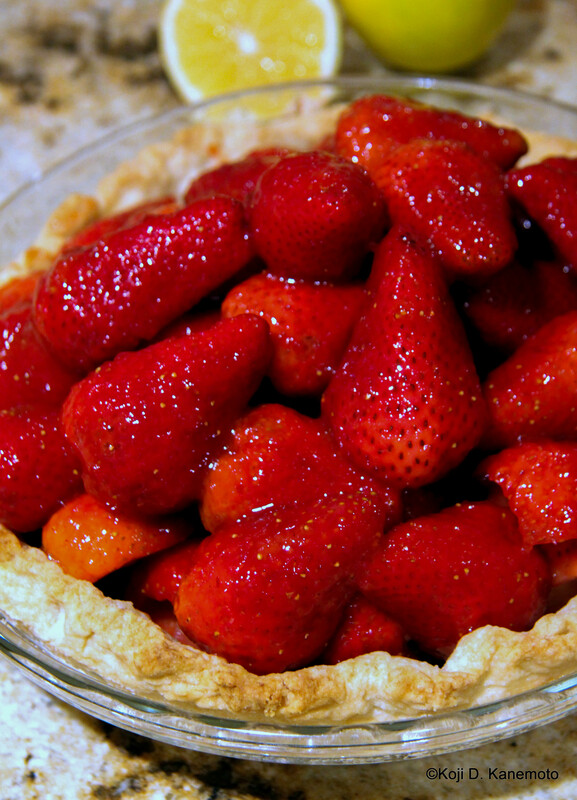 But because the strawberries I bought were so freaking huge, they looked like bowling balls in the pie crust. While I didn’t know if it was taboo or not but I decided to cut the strawberries in half. I was worried that all that juice would leak out and make the crust feel like you were biting into a sponge. Well, aside from the glaze not becoming transparent enough and the incredible shrinking crust, the pie turned out tasting great. I will write a scathing letter of complaint to Cook’s Illustrated. They did not consider that old berry-brained former mechanics like me would actually try to follow their recipes. I will also write a letter to President Obama and have him execute another Executive Order to change the law – that Cook’s Illustrated must write their recipes so that old former mechanics will understand. 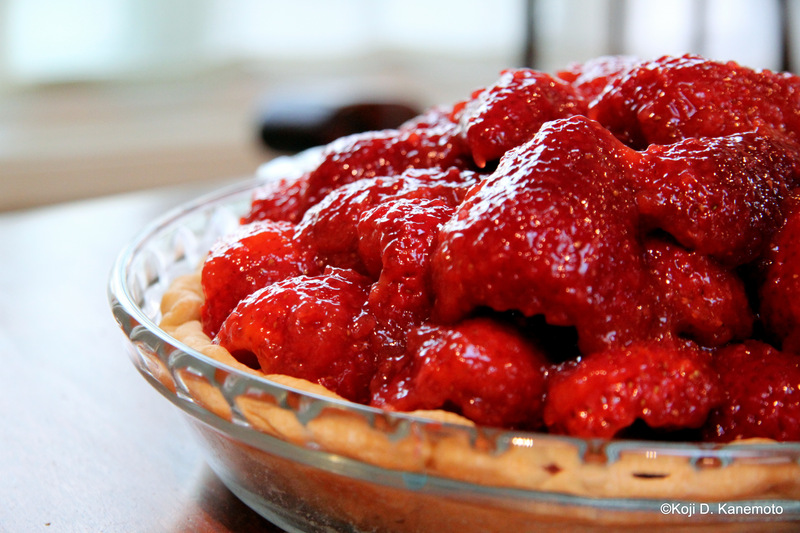 I will just go to Marie Callendar’s next time and buy a strawberry pie for $8.99. 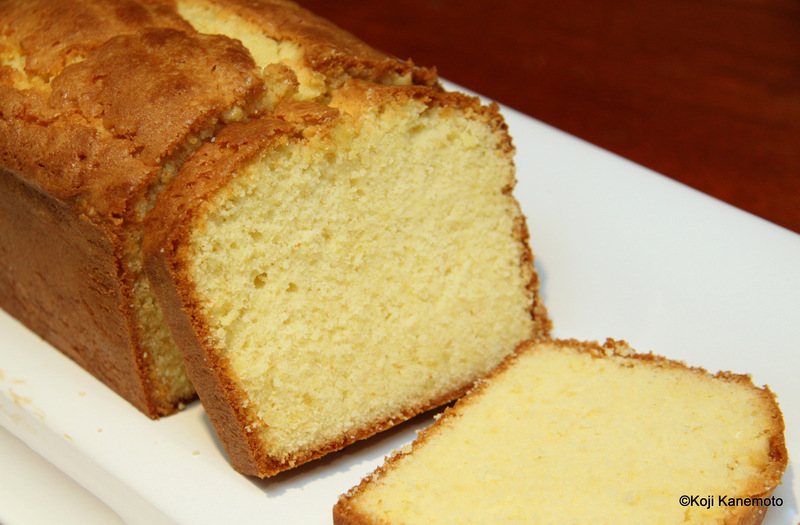 Classic pound cake from scratch. 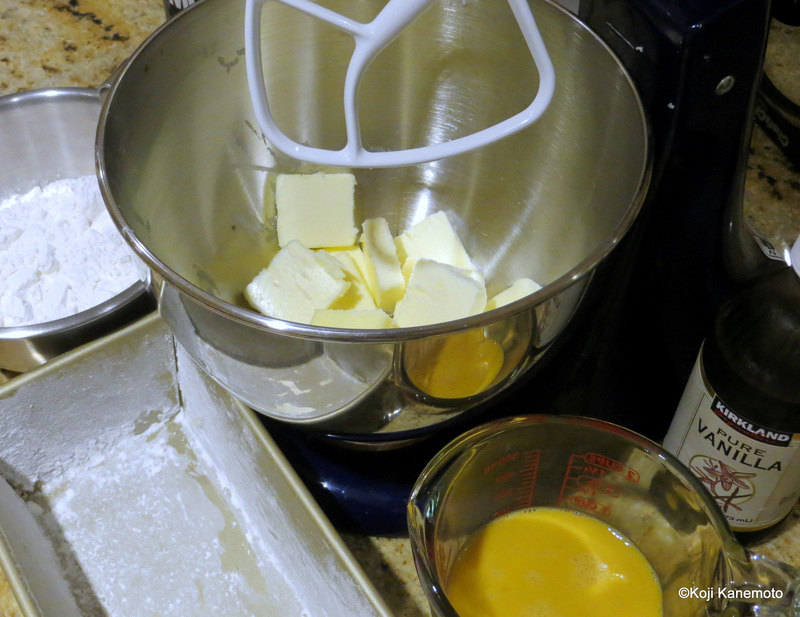 A secret is the temperature of the unsalted butter. 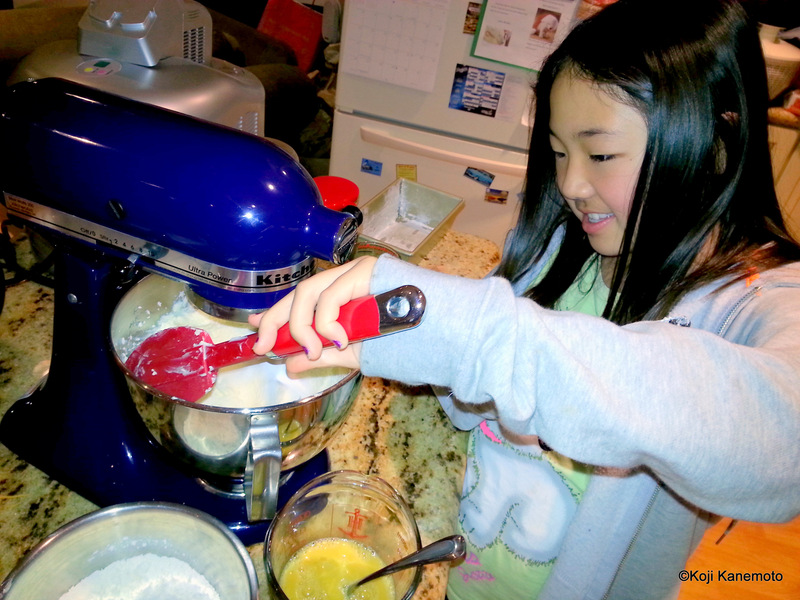 So my little Cake Boss wanted to bake something with me…but what? The funny thing was she told me the only dessert she really liked from my repertoire was the Strawberry and Almond Frangipane Tart. 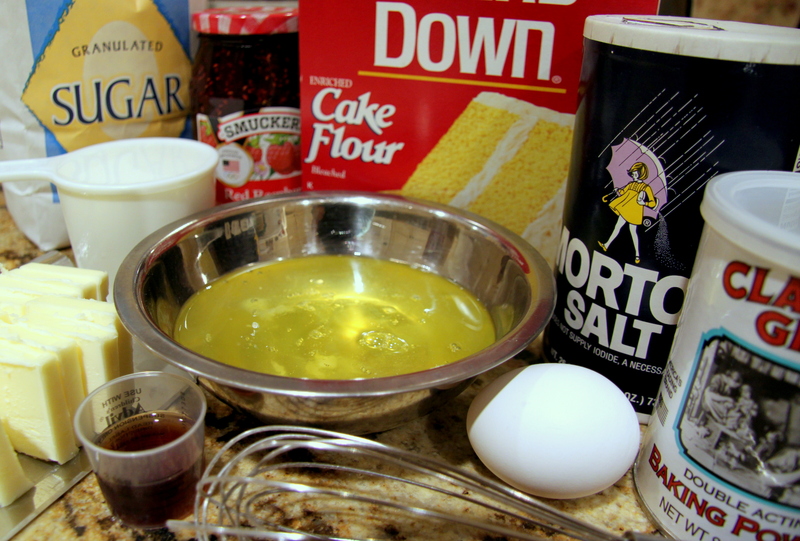 Just a smartphone photo…and before the little Cake Boss started to fold in the cake flour. It looked as if Mt. Vesuvius erupted in our house. 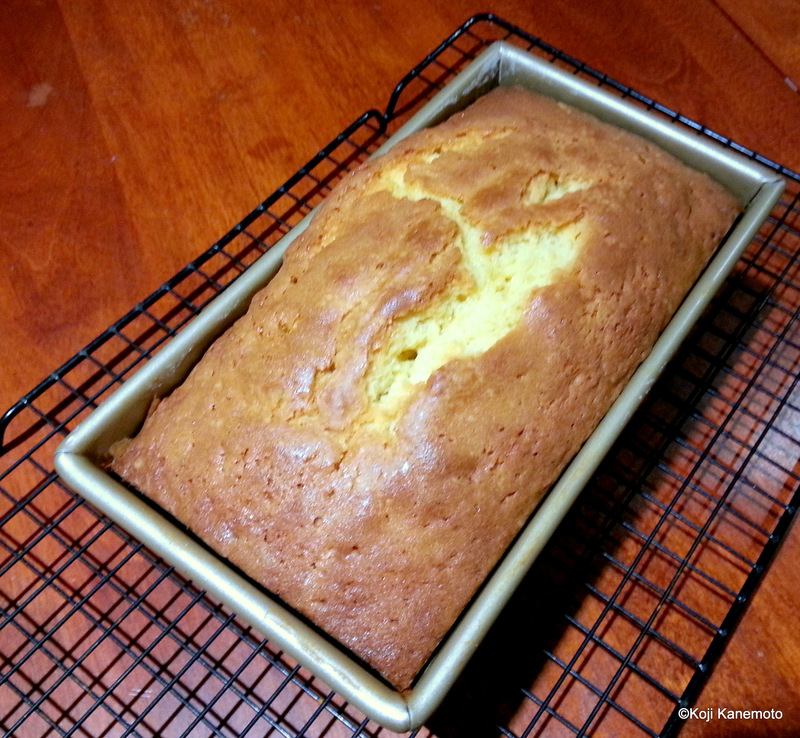 So we decided on Classic Pound Cake…sans the lemon glaze. She didn’t want it. 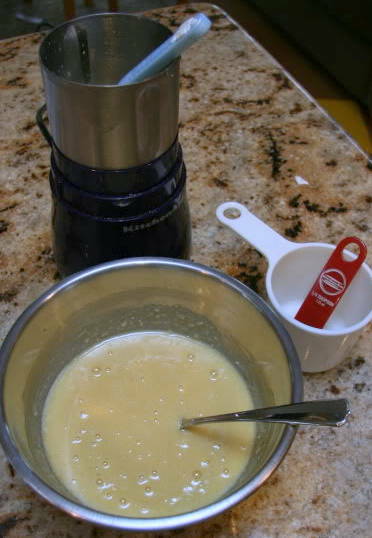 Per the Cook’s Illustrated recipe I decided upon, the secret apparently lies in the temperature of the butter and eggs as well as using cake flour. Do I dare say it sounded easy..? 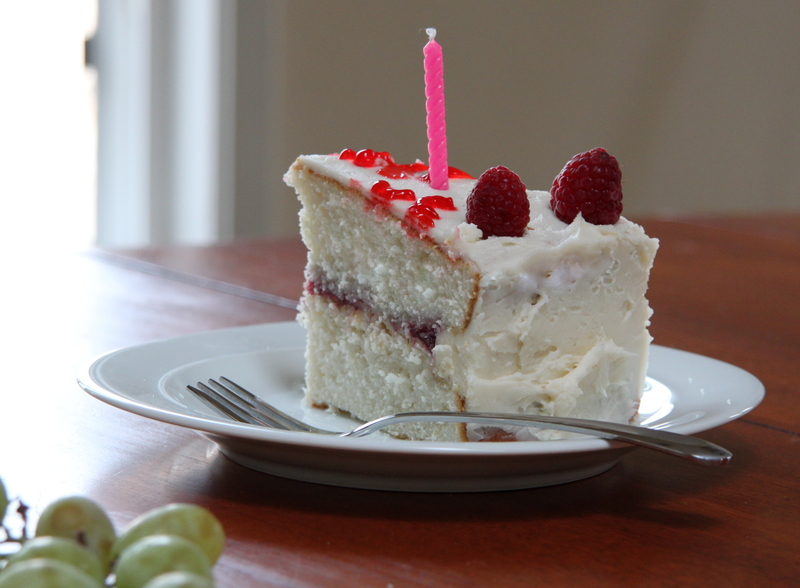 It did…until I remembered I wasn’t baking it…alone. 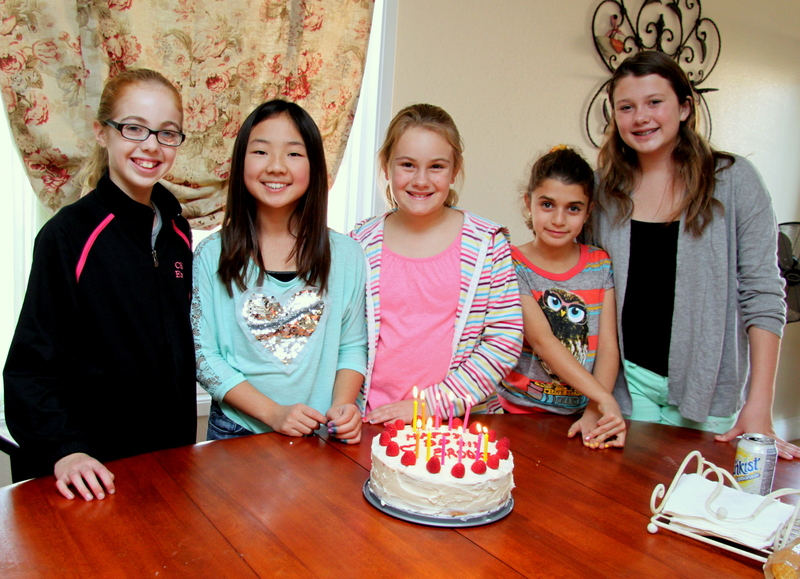 I forgot I worked for the household Cake Boss. Silly me. 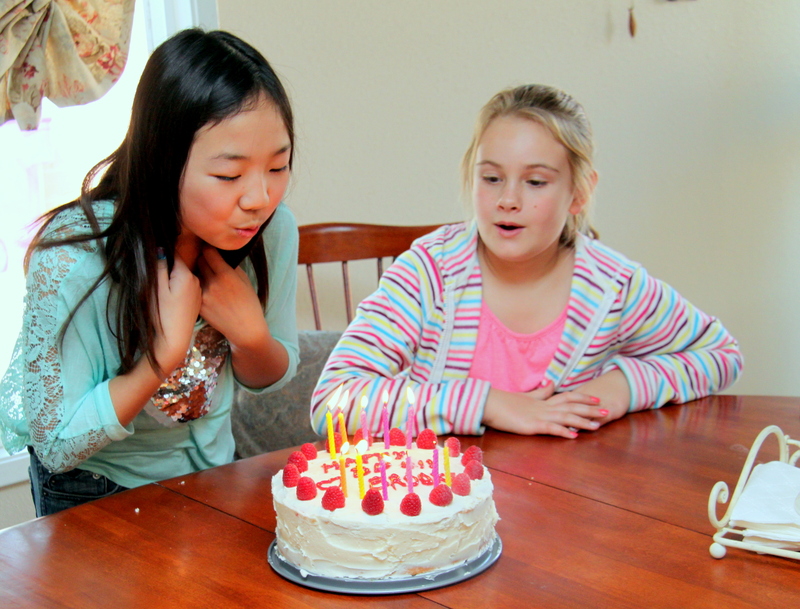 Well, she plowed through it… at a eleven year old’s pace, that is. We followed the Cook’s Illustrated bible as best we could… And you know what? It domed wonderfully! 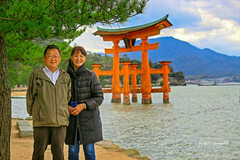 It domed wonderfully…! And I had to guess on the doneness as I had no wooden skewers. 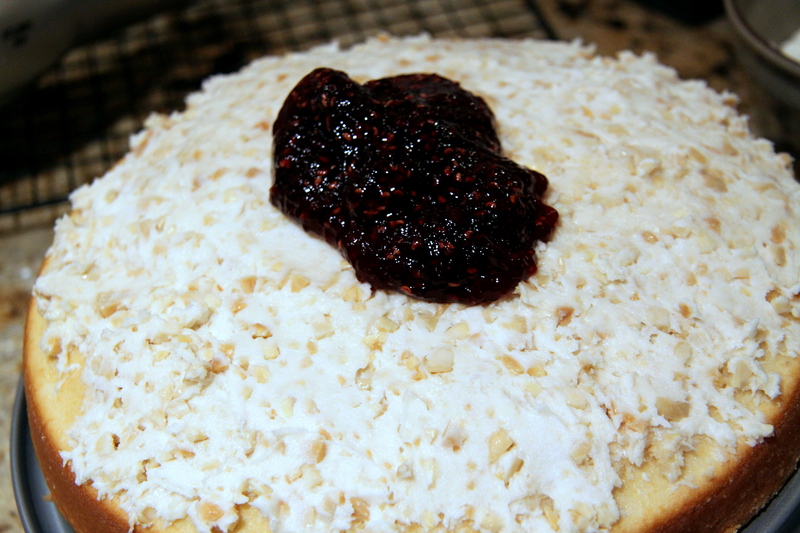 Afraid to have a soggy under-baked creation, I overbaked it by about five minutes… Boo-boo. After it cooled and nearing midnight, we got to sample her creation. Oink oink! It was really good! But I survived to bake another day. Well, this former mechanic got his greasy hands back into the kitchen. No explosion, either. 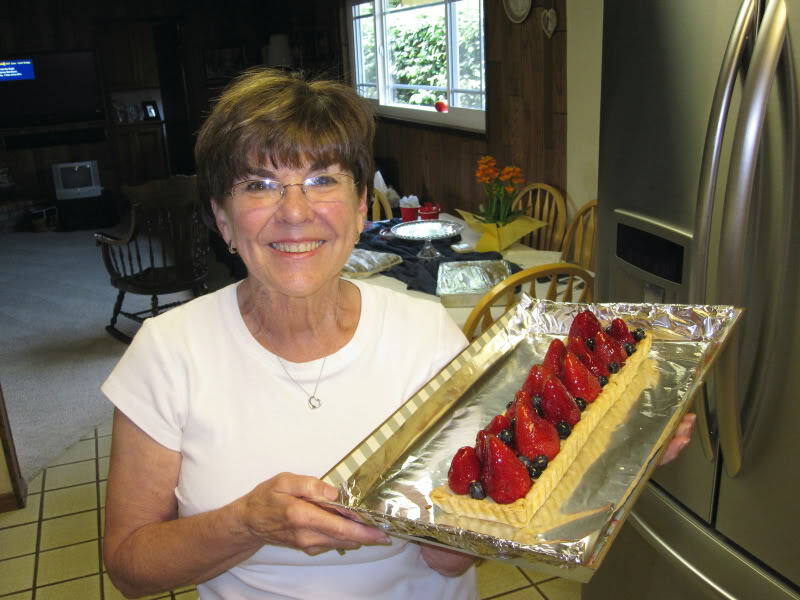 Another Cathy Thomas Cooks recipe, it was relatively straight forward. Didn’t need a wrench. 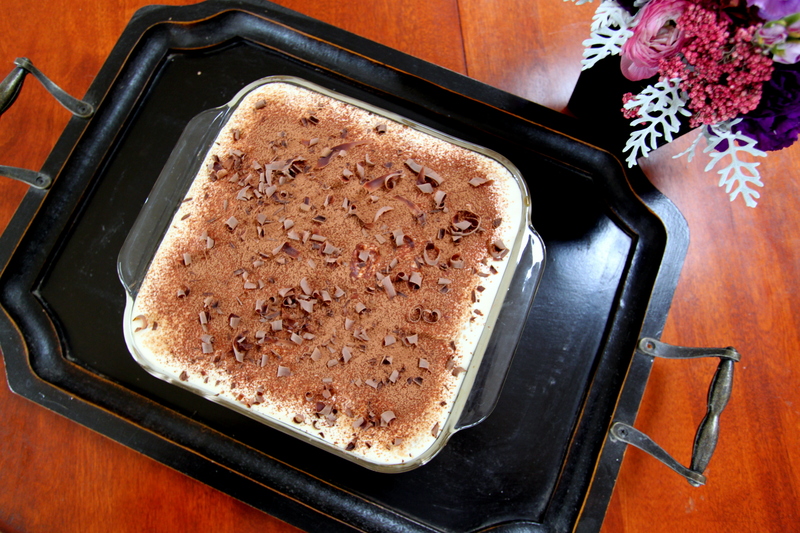 Please click on the link for the recipe (since people seem to be asking). Small kitchen appliances are rather skimpy in my kitchen so I had to improvise – my coffee grinder in place of a food processor. 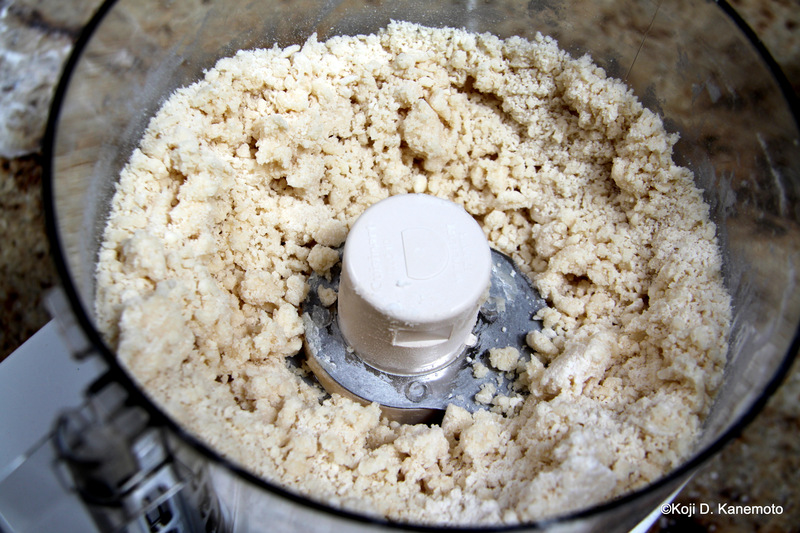 Didn’t have a food processor so I improvised… A guy’s perogative. 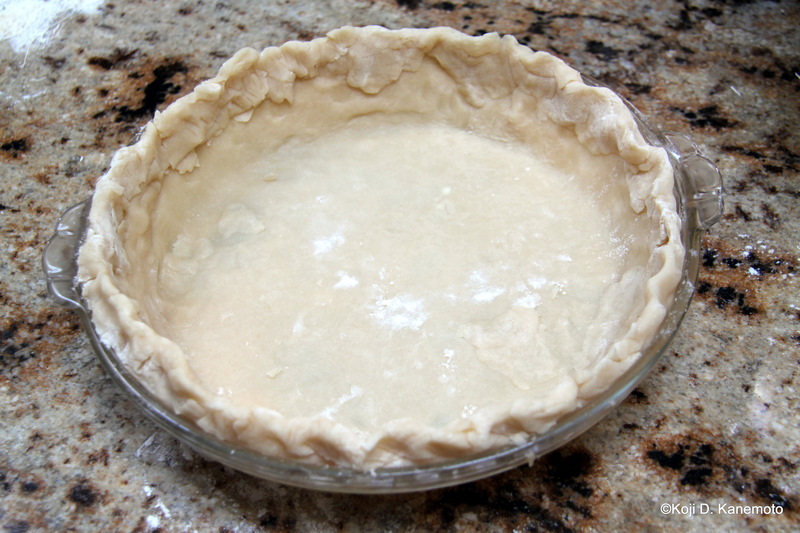 I did find the pie weights to be a great tool. Lucky I had some in my toolbox…not. Went out and bought a bag. You know – a guy thing. A tool for every job. 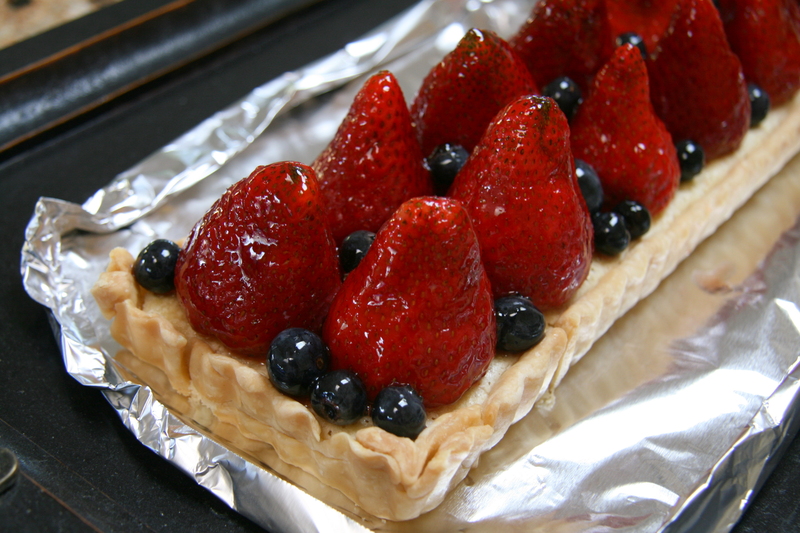 A close up… Sorry about the tin foil but I only had one plate. One of my best pals passed away so I made his widow a tart for Mother’s Day. For the single guys out there… The gals at the office love it. My young years as a mechanic were some of the most fun in my life. Working alongside veterans of the US Army’s most decorated unit, the 442nd Regimental Combat Team, made it so much better. 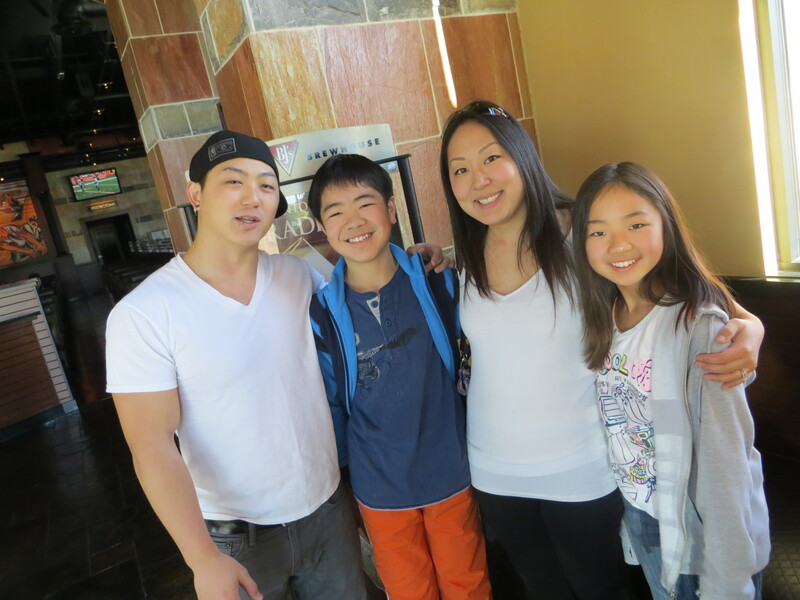 If you haven’t heard of that heroic combat team, you will be surprised. Anyways, I didn’t do much cooking then. Can’t figure out why I started either. 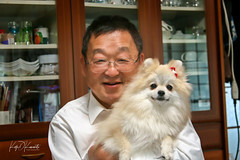 Old age. Too many gasoline fumes, perhaps. 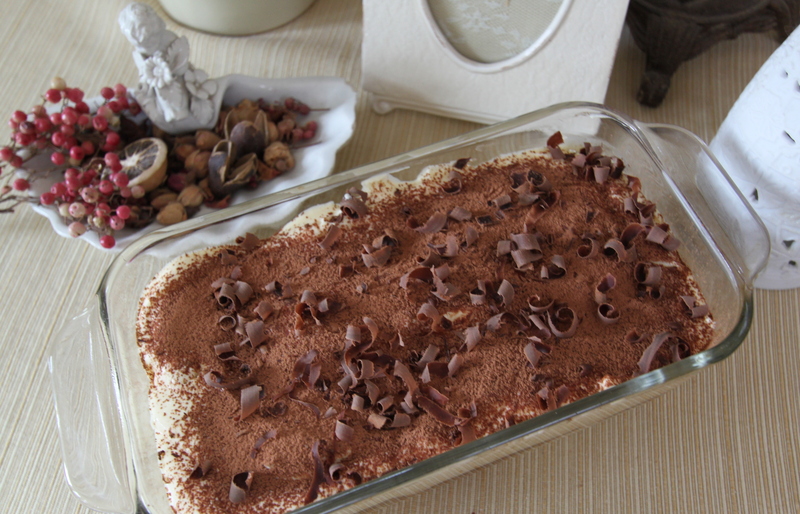 But one of my most requested deserts is my homemade Tiramisu. Never mind gasoline fumes… The rum fumes will disperse all the oxygen molecules and you will get high. Just kidding. About getting high. The only ingredient not shown here is VERY strong coffee. Even Dean Martin would have diluted it. 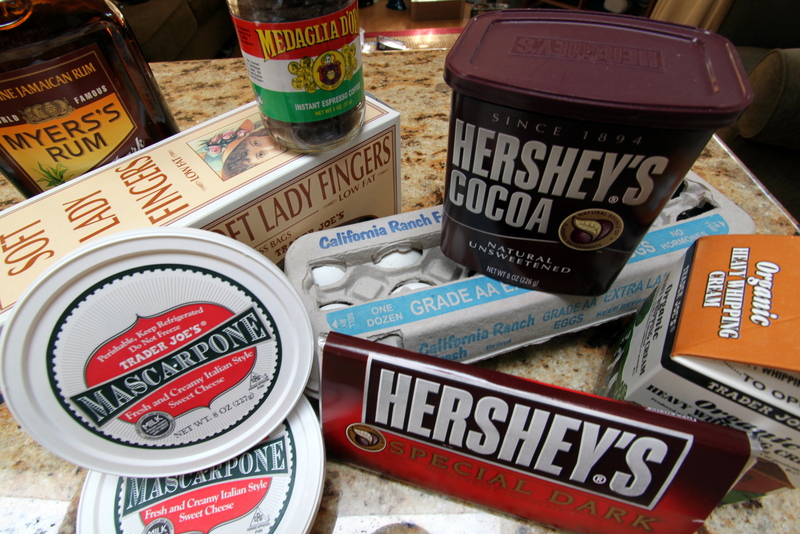 Tiramisu ingredients. The bottle was empty, by the way. And no mockery of my serving plates and dishes for I have none. Remember, I am a former mechanic. One batch finished for a party. Another batch for a neighbor’s party… Adult party. I don’t recall any pecks on the cheek, though. Hmmm.